Your heart is one of the most important parts of the human body, second only to the brain. During your lifetime, your heart will pump enough blood to fill three truckloads. Along with the heart (Cardiovascular), the lungs (Pulmonary) and arteries and veins (systemic) make up the human circulatory system. Within this system is the aorta, the largest blood vessel in the body. Although the aorta is durable, it can weaken and breakdown. The bulge that comes with it is called an aortic aneurysm. Many providers of In Home Care in New Jersey can offer assistance in recovery from this. We at ExPO Signature Home Care offer a guide in understanding aortic aneurysms and its types. There are two different types of aortic aneurysms, depending on the location they occur. Occurs in the chest, a big factor in having this type of aortic aneurysms is genes. People who are born with certain conditions have a chance at affecting the aorta. Due to the symptoms of an aneurysm being elusive until it burst, it is hard to notice. Getting a regular check-up can help diagnose TTA with procedures such as an X-ray or CT scan. If it does grow in size, you might need surgery. As you recover from this surgery, having a companion provided by a Health Care Service in New Jersey is a good idea. This type of aortic aneurysm occurs within the patient’s abdomen. Like TTA, the symptoms for AAA is not commonly detected. When an aneurysm ruptures, you might feel an intense pain in your back or abdominal region. Like TTA, AAA can be detected with a routine exam. If the doctor does find a bulge but it is large, surgery is an option to remove it. 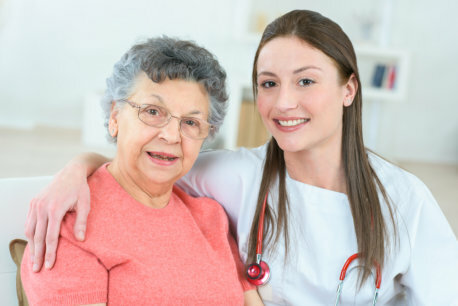 If you are currently recovering from surgery or a similar procedure, hiring a Home Care Provider in Manalapan, New Jersey might be ideal. This entry was posted in Home Care and tagged Aneurysms, Aortic Aneurysms, Healthcare. Bookmark the permalink.